When I found a copy of Friday Night Lights by H.G. Bissinger in a Little Free Library on Super Bowl weekend, I thought it was placed there to help me brush up on my football lingo before writing a big article for work. Instead, I think it was there to help me get through the following weekend—the weekend of my Djiedo‘s memorial service in Austin. It was a timely lesson, too, in the problems of racism and classism that persist in our country, but what made it just right for me right now was understanding what makes a hero in Texas (or anywhere). We know we have a problem with racism in our country. Or at least I hope we know how much of a problem it is. It was helpful for me, though, to dig into this story of a small(ish) Texas town obsessed with football and how much they did not see (or did not want to see) how they excluded entire categories of people based on the color of their skin. Living (as a white person) in the Northwest, it has been easier for me to pretend that the civil rights era put us on the right road to setting ourselves straight. But reading about Odessa forced me to look hard at some ugly facts. It’s hard to change the views of people who are comfortable with their lives, even (especially?) if those lives are lived on the backs of others. I was gobsmacked by the fact that Odessa’s high schools were not integrated until 1982. Not only that, but the sense of white entitlement that accompanied that segregation. This book made me look differently at my Texas experience this time around. I’ve been looking even harder at my own actions and beliefs in the past few weeks as I’ve watched the Ralph Northam controversy unfold. I’ve never worn blackface nor a klan uniform, but I know I’ve said some racist, bigoted, sexist, and downright mean things in my life. I’m actively trying to be better, but that doesn’t change the hurt I put into the world. Looking around me in Texas this trip, I’m seeing so much of what I’ve failed to see at home—the stratification of the society around me. I see the Hispanic cashiers at the CVS, the Hispanic cooks working behind white cashiers at the BBQ joint, the almost entirely white and Asian audience at my grandfather’s memorial. When my Djiedo’s people came to the U.S., they were just hunkies—a racial slur that encompassed anyone from Eastern Europe. He worked his way up from coal miner to professor to presidential advisor, but none of that makes me entitled to better treatment or a better life just because my ethnicity blended out in a generation. I was shocked to read about the casual racism in Odessa and it was also all too familiar. It’s easy to think I’ve earned the life I have based on my merit (that’s the American ideal, right?) when really I’ve had so many advantages (and not just racial ones). One of the stories I was raised with was that my Djiedo was friends with everyone—from the man who made paperclips to the man who owned the paperclip factory. In some ways I think this was true as I’ve met some of the friends he accumulated over the years. True that many of them had achieved much in life, but some of that was that age gives us time to accomplish much and I often had the feeling that Djiedo had known many of these men “when”—before they became the titans they became. Reading about Odessa’s origins and the glorious days of oil booms and the terrible failures of busts, the fact that people were pulling down large salaries with little to no advanced education and then were flat busted when the price of oil changed reminded me how much of our identity we tie up in our achievement—and how hard we fall when that achievement is taken away. It made me think about how harder it’s getting to make a living wage, even with a college education and how, as a country, we’re drowning in student loan debt because school seemed to become the right (only) option after 2008 even as tuition skyrocketed. How this takes us all so much farther from the “pull yourselves up by your bootstraps ideal. How it makes us afraid. How in our fear we pull even farther apart as a country. How a life like my Djiedo’s is still maybe possible, but not really. And I wonder what we’ve become. On a hill in the middle of the Texas State Cemetery stands a granite stone as close to burnt orange as you nature allows. On that stone the names of my grandfather, grandmother, and aunt are engraved, their ashes buried beneath. It was a big deal to my Djiedo that he was able to be buried there. Having never forgotten where he came from, acclaim mattered in every bone of his body. I couldn’t help but think of my Djiedo as Bissinger returns again and again to the image of the Permian Panthers as gladiators—boys who carry the hopes of an entire town for a few months in the fall. While being a player didn’t change their class, they were heroes on the field. Until they weren’t. Some of those boys made good after, but not based on the brutal things they did to their bodies in that stadium. Because my Djiedo was building for the long haul, his sense of achievement only grew with time and he never had to experience that sense of bubble bursting. Instead, my family and I sat in a large hall on Saturday while deans and a university president lauded my grandfather. They talked of his energy, the way be made friends with everyone (and for life), and his propensity for throwing erasers at sleeping students. It was a surreal experience. The kind of thing Djiedo soaked up and loved, the kind of thing most of the rest of us dreaded (being trotted out for display for the achievements of others can make you feel, well, less than achieved yourself), but something I know he earned. The stories were familiar, the film, too, but appreciated, all of it. There was a lot of love in that room for my Djiedo. And reminders that my own heart could (and should) be more open. That I have been given everything and now my life is only what I make of it (in alignment with whatever values I choose). Life is not linear. Nor is the path to success. I was reminded of that and inspired when, at my Djiedo’s graveside, my cousin did what I would never have thought to do—she opened the lid to the urn and let my curious son release a smidgen of Djiedo back into the world. Djiedo lives on in places of honor—that cemetery, the John J. McKetta School of Engineering at the University of Texas, in my heart. And his legacy is set. Now it’s my time on the field. May I do honor to the name of great man and to the life I have been given. Bless the books that find you at just the right time in your life. 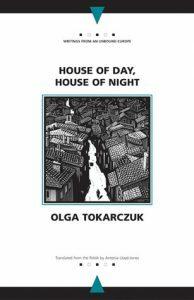 I first started hearing about Olga Tokarczuk and House of Day, House of Night this past fall, received it for Christmas, and started reading it the weekend after my grandfather (Djiedo) died. The book so perfectly met me where I was that I felt as though Tokarczuk was sitting at my side, comforting me with stories and reminders that the best things in life are unknowns. No matter that the book was first published 31 years ago on a different continent in a language I barely speak anymore. I did not know what Tokarczuk was doing when I read the first seven pages of House of Day, House of Night, but I was in love enough to recommend it to everyone at the cabin where I was staying. I knew the book was about a town in Poland that had once been German and then the Germans had been relocated, the empty town filled with Poles from the side of the country that was now Russia. But that’s not how the book starts at all. 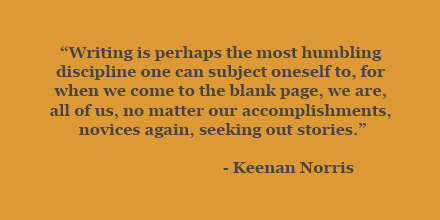 Writing teachers always tell us to focus on our opening words and to hone them until they slice open a reader’s curiosity. Achievement unlocked. The dream continues for a page as the narrator hovers over a valley as she seeks her location in space, consciousness. And then it ends. The tone shifts in the next section as we encounter the quotidian details of the narrator’s home and life including meeting her mysterious neighbor, Marta, a woman whose life details are as elusive of my understanding of this text. I had no idea where Tokarczuk was taking me, but I loved it and trusted her with my fragile psychic state. Linked short stories go in and out of vogue, I think, because so few people do them well. Creating a world that’s larger than one character’s lived experience seems like a great idea. It allows you to see things from a broader perspective and to understand the world as myriad. I’m in. But the temptation to over-fill the blanks between characters is huge, which can result in a world where we know too much about too little. Other writers react to this temptation but linking the stories so sparsely that they become a “Where’s Waldo” where only the truly cool kids are in on the linkages. Tokarczuk, though, manages her links just right. Maybe it’s because the characters are odd enough, maybe because they’re inhabited enough, maybe because there are connections we clearly see but can’t understand—the result is that we feel as though we are truly in a town full of people as weird, normal, knowable, and mysterious as our own neighbors. There’s Marta from next door (a woman who may or may not be a mushroom), a lycanthropic classics teacher with a fascinating (but hidden) life story, a hermaphroditic saint (and the scholar monk who worshipped them), and a German man who returned to this town to find who he once had been (only to find a final truth), plus a comet, an eclipse, and cloud-based divination. Fascinating, right? With a list like this, House of Day, House of Night could have been a veritable circus side show except that each of these characters and ideas is so carefully, so literarily, so humanly handled that they feel like a beautiful part of our every day. Which they might be. My Djiedo was a prize fighter, a trumpeter, a coal miner, a professor, an editor, a father, and a presidential advisor. My father has been a pilot, a forester, an economist, a hippie, a Voyageur, a professor, and more. And I, a marketer, mom, wife, poet, novelist, and essayist have lived on three continents and speak five languages. The stories we don’t know about our friends and neighbors are myriad. Which reminds me, you can put anything in a book if you’re willing to be open to how weird life is and how it’s part of a larger story than maybe you’ve even understood yourself. It helps that much of the story is surfaced in the scenes we see, but it’s also essential that Tokarczuk leaves ample breathing room in the interstices for us to fill in our own rich ideas about the connections therein. There’s something about someone you love dying that changes everything. Even if that person is 103 and their death is a mercy. You wonder if you did enough, if they knew they were loved, if holding onto objects will help you hold onto them, if you even should hold on, what your own aging and death will look like, how you can possibly afford forty years of retirement. I still miss my Djiedo. If the trajectory of mourning for my Baba holds any clues, I always will. But House of Day, House of Night helped me feel part of a greater, unknowable world in the days when I needed it most. And I will love this book and Olga Tokarczuk always for that. Embark on your own Tokarczuk adventure, pick up a copy of House of Day, House of Night from Powell’s Books. Your purchase keeps indie booksellers in business and I receive a commission. I wanted to write this review in December, but I was busy stealing moments to make writing from the inspiration I found in Alchemy of the Word. I wanted to write this review over the Christmas holiday, but I was practicing balance. I wanted to write this review on New Year’s and fill it with links to all the posts I’ve previously written about inspiration, but I had just found out that my grandmother died. So here I am beginning the new year as I mean to end it, practicing balance, experiencing the fullness of life, and giving myself a little grace for the fact that I am trying my best. (If you need to give yourself a little grace, let Icess guide you). I used the word “practice” very deliberately above, because I am not good at balance but it is a skill I’m trying to polish, just as writing is a skill that requires practice. The writers whose essays make up Alchemy of the Word are all very practiced writers and, as members of the faculty of Goddard College (my alma mater), are also tasked with helping new writers get into the habit (practice) of writing. The essays in this collection come from the speeches our teachers use to inspire us at residencies and to (lovingly) warn us about the writing life to come at commencements. They are about subjects as myriad as craft elements, literary activism, and failure. This last one is especially important (and frequent) because failure looms when you don’t practice. 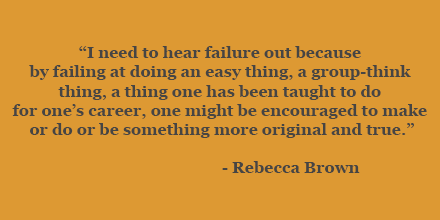 More so, failure plagues when you “fail” to see the success that is simply continuing to practice. As I read this book, I found myself looking for essays I might have originally heard delivered aloud but ultimately found that didn’t matter. The know-how of practicing is something I’ve already absorbed. Instead each of the essays in Alchemy of the Word served as a much-needed reminder to practice. The sympathy that might have jumped into your heart when you read “my grandmother died” is not really earned. I hadn’t spoken to my grandmother since 2012 when she called on my birthday to yell at me for not inviting her to my wedding. I didn’t invite her to my (tiny) wedding because I didn’t like her. I didn’t like her because she’d never taken the time to get to know me. Are there things to mourn in my history with my grandmother, yes, but they are probably not what you expected at the outset. grandmother, so I don’t pretend my thoughts are profound. I do hope that at the very least I can offer someone the comfort of solidarity in the complexities that are family relationships. For myself, I’m taking solace in the birthday call I received from my other grandmother (my Baba) in 2011—a call I took on the beach at Port Townsend— the very same beach I so often walked while at Goddard. It was the last time I talked with Baba and I was sad that day in knowing that was probably true. But I am filled with joy at the thought that Baba saw me and loved me enough for two grandmothers. I’m off to play now—to read, to soak in a tub, to watch my son create Playmobil orchestras, to joke around with my husband and to think. All of this is practice. All of it is life. And I am lucky. 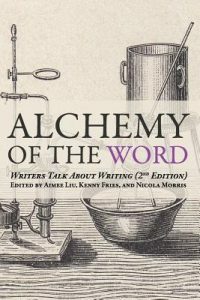 To reinvigorate your writing practice pick up a copy of Alchemy of the Word from Powell’s Books. Your purchase keeps indie booksellers in business and I receive a commission. After reading more of Bolaño’s 2666 than I ever should have, I cleaned my bookshelves of all the to-read have-tos that I’ve held on to for far too long. And found myself without anything to read. Failure to read good books generally puts me in a state of existential crisis, so I decided to return to an old favorite—Portuguese author António Lobo Antunes. Even after leafing through a few chapters in random order, I could feel myself restored. And I wanted more, so I turned to my shelf of books to review and found Mia Couto, a writer from Mozambique who also writes in Portuguese. I’ve spent a few wonderful days now with Rain and Other Stories and want to share with you the experience of reading this man’s work with Lobo Antunes in the background. I’ve read many books by Lobo Antunes, a physician who fought in the Angolan war. His language is as lyrical as his thought and the books I’ve enjoyed most shift almost imperceptibly back and forth between African memories and European presents. On this read, I found myself immersed in sentences like “Lisbon, even at this hour, is a city as devoid of mystery as a nudist beach” and “I’m traveling the gentle geography of your body, the river of your voice, the cool shade of your hands, the pigeon-breast down of your pubis, but me and Xana and you, the Saturday rain, we are the only ones who truly exist…” Swoon. With a translation it’s always hard to tell whether to credit the author or translator (here, Margaret Jull Costa) but I suspect both contributed heavily to the magic of the flow of this book. In Lobo Antunes, Africa is half of one whole. It’s either the immediate present of a man immersed in a memory of war or the tortured background against which the luscious European present unfolds. For Couto, though, Africa is everything—the tortured past and the luscious present, the luscious past and the tortured present. Rain and Other Stories was written after Mozambique’s war, and Couto writes in the introduction, “After the war, I thought all that was left was ashes, hollow ruins… Today I know that’s not true. Where man remains, a seed, too, survives, a dream to inseminate time.” Forgiving the decidedly visual metaphor, this is very much a book for our time, a time when we need to see the future beyond the [INSERT HYBERBOLIC ADJECTIVE HERE] headlines. Couto finds magic in those after-war ashes (literally and figuratively) and so shall we. Most of the books I’ve loved about Africa have been the books of the colonizers… partly because those were the books I was exposed to and partly because they reinforced the ideas of Africa that I grew up with during the “Feed the World” generation. Couto, too, is white. Born in Mozambique to Portuguese immigrants, he could be writing colonial books as well. And maybe the magic and use of folk images that I’m responding too is appropriated, but Rain and Other Stories feels written with the honest respect of someone who loves a country and a culture. Because Couto is Africa born and he lived through the war there, his experience, too is authentic and I wish I could have read this book without thinking so hard about race—because it’s good. I should (and will) read other narratives of different life experiences in Mozambique, but for now let me tell you about this gifted storyteller. This fantastical world where they go to watch white cloths dance in the distance contrasts sharply with the quotidian rituals home. Through his use of tense, Couto manages to make both realms feel habitual and yet his images are rich enough to make both alive. I won’t tell you how the story unfurls because the pleasure of experiencing it for the first time was simply too great. But I want to… Suffice it to say that the river and water are recurring themes in this book in a way that feels very of the place and also ancient and of all of us. Fear is a river one must cross wet. The illusion of being right is born when everyone is wrong at the very same time. Work is like a river: even when it’s reaching an end, what comes behind is more and more river. Snakes are bilingual to show that every animal contains a second creature. Love is the world divided by zero. He who tastes unripe fruit soon wants to try its flower. Beauties subtract from one another: we see the butterfly and forget the flower. There’s one more story in Rain and Other Stories I can’t not tell you about. This part does contain spoilers. “The Perfume” is the story of Gloria, a woman “accustomed to living low” whose husband comes home with a present and announces they’re going dancing. In the first paragraph, Couto fully unravels the accumulated staleness of their marriage which contrasts beautifully with Justino’s gift to make us as surprised as Gloria. We’re with her as she warily dresses in the given dress and eventually throws a bottle of perfume Justino gave her when they were courting but that she’s never had occasion to wear out the window where it breaks on the sidewalk. I have noticed that both of these authors are male and I’m trying to read more broadly than I have in the past. Thankfully someone (@DeepVellum) approached me on Twitter and recommended Maria Gabriela Llansol and Noemi Jaffe. I’ve read neither yet, but they’re on my Goodreads list. And I’ll continue to seek out Mozambican and Angolan authors with different sets of life experiences. If you have recommendations, please leave them in the comments. To immerse yourself in some of the magic of these books, pick up a copy of Rain and Other Stories or Land at the End of the Worldfrom Powell’s Books. Your purchase keeps indie booksellers in business and I receive a commission.